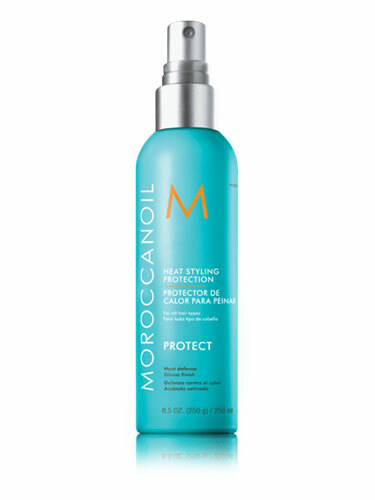 Moroccanoil® Heat Styling Protection effectively prevents breakage and split ends. The result: healthy, naturally beautiful hair that withstands extreme heat, with a style that lasts throughout the day. Divide dry hair into small sections. spray 1 pump on each piece 8-10 inches away from the head prior to using any hot styling tools. styling tip: Before blow drying, first apply moroccanoil treatment and then spray heat styling Protection on towel-dried hair for added protection and shine.